This listing is for a killer digital download. The 14 items you get in this package are worth 92.00. 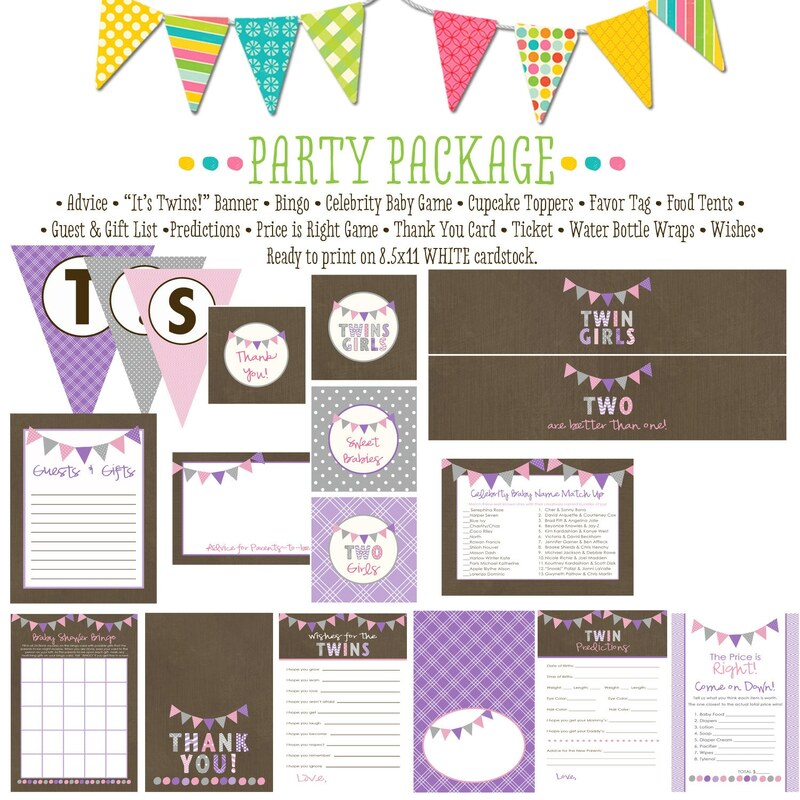 You get such a sweet deal because they are instantly downloadable and do not come personalized or customized. Items will be delivered to your email as a downloadable link to a folder of PDFs for you to print on WHITE card stock and then cut them out. Directions will be provided on each PDF. Before you buy make sure you check out the images and the description because once you purchase I would be able to accept any returns or cancelations. • Bunting BANNER It's a Girl!